Heavier clothing, darker evenings, richer foods. The winter carries a wonderful sort of bulk with it, making the light airy springtime even more surprising. I don’t realize how much I’ve craved it until it shows up. Everything outside our windows is green and blooming, daylight carries me far past dinner, and I’ve already experienced my first unflattering tanline. Spring is here! I need to catch up - so naturally, I’m starting with the home and closet. I won’t deny the power of a good spring cleaning, but sometimes your home may just need a little sprucing and lightening up. (At least that’s what I will tell myself.) Before we grab our scrubbing bubbles and face masks, here are a few smaller ideas to refresh our spaces and usher in the lightness of springtime. 1) Pack away winter blankets. As cozy and inviting as these look come October, they're too heavy for hot and humid days. Unless you keep your A/C locked in at 60 degrees (this would be my father’s dream) - pack them away until Fall. 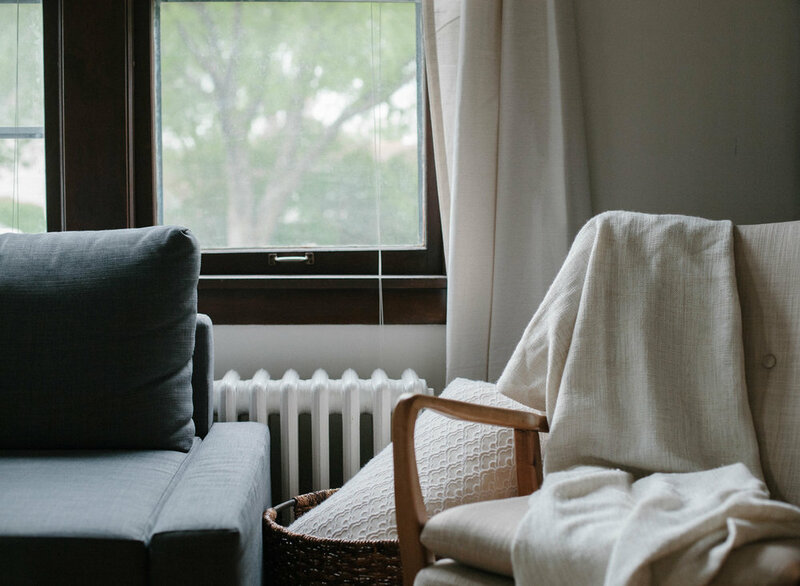 Keep a few lighter throws to toss over a sofa or the edge of your bed for chilly nights! 2) Replace your candles. Your pumpkin scone and winter pine wicks are most likely reaching the bottom of the jar. 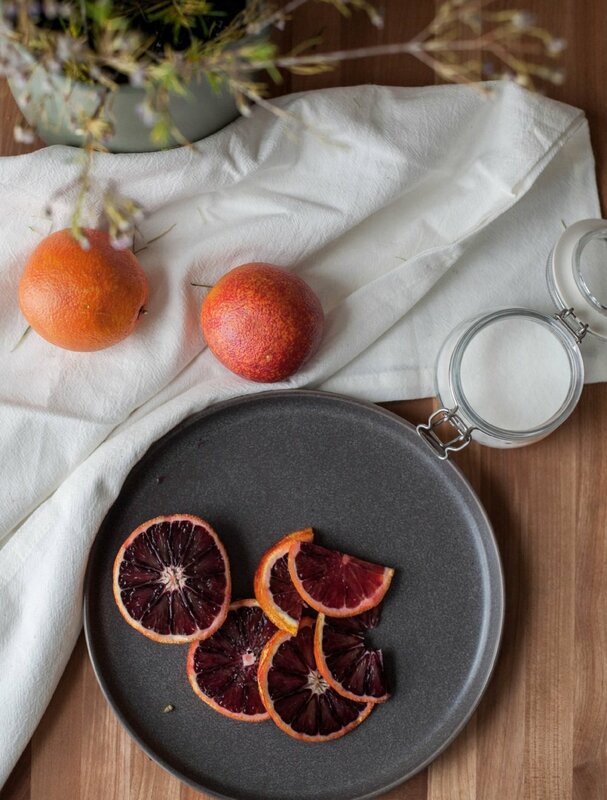 Ditch the charred winter scents for something fresher. Since candles aren't burned nearly as often in the summer, go bright, fresh, and small. I’m eyeing this one right here. 3) Scan your closet. Okay, I know I promised no lengthy cleaning lists, but there are a few areas worth slimming down, and the closet is a great place to start. If I haven't worn a clothing item in over a year because it doesn't fit, doesn't work with anything else I have, or I just forgot it existed altogether, I don't need to store it for another year. Donate shoes and clothes that just aren't working anymore, and consider if there is anything you are missing or in need of for the next season. It's always the impulse and trendy pieces I get rid of, and while these purges are getting fewer and smaller with every year, clearing my closet reminds me that buying slower + smarter is always best. 4) Move on to the kitchen. One of the most exiting parts of Spring is considering all the fresh food. Take a moment (or hour...or three…) to clean up your fridge and pantry. Throw out anything old or stale. Wipe down the shelves. Take inventory of what you have and what you need. For me, this looked like clearing out weird jars of dressings and syrups I had made through the winter, and trying to use up the 30 cans of chickpeas that had somehow accumulated in our pantry crates. Falafel and hummus for everyone! I have found less waste since switching to glass jars and open shelving. I tape the cooking instructions for the different grains or rices to the inside of the lid for easy reference, and the visibility helps me remember what I have and encourages resourcefulness. 5) Invest in herbs to last you the summer! Herbs are typically $1-3 at a local farmers market (or you can start from seed) and are far more cost effective than purchasing at the store every time you need one. If I can do it, you can do it. Mine don’t make it through to winter, but are so worth it for the spring and summer. Thyme, basil and sage are favorites. 6) And finally, the idea you all knew was coming: pick some florals! The easiest way to celebrate Spring. Trader Joe’s has become my monthly stop for something fresh to fill my barcart vase with. Eucalyptus and Ruscus varieties are my favorites for the their rich green shades and long life. My sister-in-law had beautiful baby’s breath in her wedding bouquets mixed in with Israeli Ruscus, which lasted in my house for almost 4 months! Of course, for more of a splurge, peonies, ranunculus, and lilacs are so beautiful. Completely worth it for a dinner party or a weekend you’ll be at home to enjoy them. These ideas for welcoming spring are short and simple - exactly how I love to feel this time of the year. I want to be thankful for the long winter, but so appreciative of the amazing newness of today. What ways do you celebrate Spring in your home? Let’s keep the conversation and ideas going. Cheers!